Motivation: the main stumbling block on the path to success. Whether you’re studying for your A Levels or your university finals, the promise of good grades should be enough of a motivating factor. Coming into the final term of a long, hard course, though, it can be difficult to stay focused and keep your eyes on the prize. Research has proven that you can influence your own levels of motivation. So with that in mind let’s run through some motivation techniques that will ensure you’ll see your course through to the end with bright-eyed enthusiasm – and, most importantly, get the grades you’re after. Motivation studies point to the fact that there are two main types of personality types when it comes to achievement: high achievers tend to have a strong motive to achieve (and set their sights accordingly), whereas lower achievers merely try to avoid failure. More often than not, there’s a big difference in the outcome of each belief. Beyond that, though, high achievers also believe that the success of a task is due to initiative, effort, and persistence. Whereas failure avoiding individuals will blame external sources to avoid embarrassment if they fail a task. Failure avoiders will tend to rush tasks, procrastinate or give up easily. Most people do sit somewhere in the middle of these two character types but it’s a good idea to try and recognise if you’re showing traits of a failure avoider and try to rectify it. Just to be clear: positive affirmations alone will not get you the grade you want. However, getting up every day and starting your routine with a spring in your step – like you’re going to conquer the world – is a good start. If you don’t feel this way look at why: Are you sleeping enough/too much? Are you eating healthily (feed the brain and body)? Or are you just stuck in a routine rut? If so, rehash your routine and start anew. The first thing you should say is: ‘I will be productive today’ and ‘I will learn X, Y or Z’. Ensure you have a strict daily routine that works for you, that’s fresh and excites you. The positivity needs to start from first thing in the morning, every morning. At this stage you should have gone through all the prep work to revision and be well into your study topics. You should be doing old papers if you’re prepping for exams, and really getting to the conclusion of your coursework if you’re doing an assignment-based course. Get testing yourself, talk about what you’re learning with family members, delve into further reading and you’ll be pleasantly surprised at how much you have learnt so far. To keep momentum throughout the day be brave and tick off modules you feel competent in, have them on display like trophies so you can see you’re on track and making progress. If this means selling your TV or locking your mobile in a draw then so be it. There’s nothing worse than social media when you’re losing motivation. You don’t need it, so don’t even engage – not even for a moment, because a moment can become two hours in the blink of an eye. A well discussed motivational technique is writing goals down. There’s little evidence in educational psychology circles that this actually works as a learning device. However, there is something in the process of deciding and meaningfully writing a goal down. The fact of the matter is that by putting a goal in writing you focus on it more and create a plan around it then it will be much more likely to become a reality. There are four lists to write. 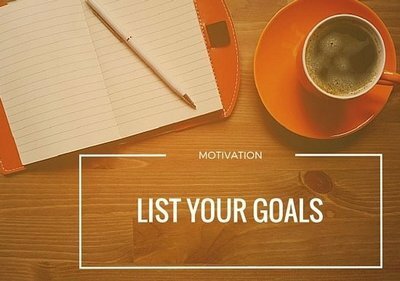 The first list is to put your obtainable goals in writing; the second is a list of the obstacles you’re finding at this point in your studies; next, identify and list sub-goals (for example, goals you’ll obtain weekly or even daily); and the final list is the benefits you’ll have once you’ve reached your end goals. Going through this ritual will give you perspective and make you realise why you’re doing what you’re doing and how you’re going to complete it. Writing down lists gives you clarity and keeps you focussed on your goals. 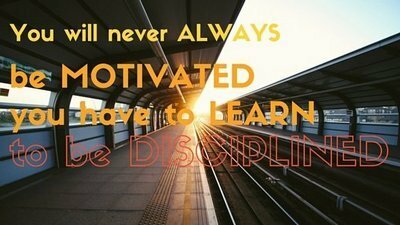 You might be losing motivation because you’re worn down. Give yourself a morning away from study, do something you love, get outdoors, you might just need to clear your head and rest. It’s important that you try and balance work with healthy eating, exercise and rest. This is easier said than done when exams or deadlines are round the corner. But while it’s OK to ratchet up the hours studying, it’s also essential to take some time out, too. Looking for more motivational techniques and strategies? Check out our guide to being more productive.